Danny Dyer landlord of the Queen Victoria Pub in BBC’s Eastenders, isn’t just a professional Cockney, he’s a proper Cockney, and his line is documented back into the 1700s in Poplar, and there is reasonable evidence to take it that his ancestors were plying the Thames at least as early as the 1600s at the time of Cromwell and Charles I, and before that most likely living in the City of London or again Poplar as Dyers. So he’s London born and bred, and so were his ancestors as far back as it is possible to trace. Circumstantial evidence would seem to indicate that Danny’s Family were the original Dyer Family in Poplar. The Dyer Family name came from the trade in the Middle Ages, dyeing cloth, silk and leather. A good trade, but a dirty one, both from the Dyers’ staining of their skin and clothes during their work, and their need to use large amounts of urine as part of the process, for both extracting dye from natural materials, and for fixing colours in cloth (old pee, and new pee being used in each process respectively!). This tended to make the dyers congregate together somewhere between the weavers and tanners. U sually near the Thames for access to a constant water supply for the washing process. Their natural materials to produce the dyes came up the Thames from Kent, where a plant called Weld was produced and shipped by boat to provide all shades of yellow for dyers, in addition to other home grown plants such as Woad and Madder. The dyers as a trade grouped around Thames Street near the North side of London Bridge, and got their own Royal Livery Company in the 1400s. Unfortunately they were dyers, not builders, and it wasn’t the most prestigious Trade Company, as reflected in their bad luck with their Company Hall; the first two attempts of which were burned down, and the second two buildings fell down due to jerry building. However Danny’s Dyer Family had moved from their ancient art, and went over to working on the Thames in other capacities, by the time of the English Civil War in the 1600s, we find Dyers on the Thames acting as Watermen and Lightermen, transporting people and goods, and indeed they would carry on living on the river right up to the present, and the River would in return provide them with a living for generations. The tune and words had been adapted and formalised a hundred years before, but the song and the playing at arches had roots going back into mediaeval times, and beyond to the Viking period. For in 1014 Ethelred The Un-Read (un-read = badly advised, rather than “Unready”) hired a mercenary Norwegian Viking force to sail up the Thames and attack London, held at that time by King Cnut’s father Sweyn and his Danish Vikings. The Norwegians tied ropes around the stanchions of the fortified wooden London Bridge, hurled grappling hooks onto its fortifications, turned their longships around, hoisted sail to catch a westerly breeze, and rowed hard with the downstream tide to wreck the fortified bridge, allowing them to bring their own and Ethelred’s English ships and troops up the Thames and outflank the Danes, forcing and force the Danish garrison to give up control of London and Southwark back to Ethelred and the English. The Rhyme obviously would have scanned better in Old Norse, but it tells the tale, and Grappling hooks and Viking axes and swords have been found in the Thames at the site to reinforce the romance of the story with archaeology. Now it was this folk memory that gave rise to the nursery rhyme that Eleanor sang to her sons. The Viking who pulled London Bridge down, Olaf Haraldsson, later became ruler of Norway, and on his death was hailed as a very popular Saint in England becoming St Olaf, with a Church in Southwark by the side of the rebuilt London Bridge, which you can visit today, now known as St Olave’s. This was typical of robust British paganism lightly dressed as Christianity, a Norwegian Viking General hailed as a saint by the people of London, for helping to recapture their City. But 750 years later in 1768, up around the big bend in the river from Poplar, London Bridge wasn’t falling down, and wouldn’t for another 70 years, this was despite the stone bridge already being 600 years old. It once stood full of brick and stone buildings along its length, some several stories high, a spectacular site in mediaeval times, but these had been demolished in Peter and Eleanor Dyer’s lifetime, in 1762, to improve the flow of foot and horse traffic across the bridge. London Bridge still presented a hazard to navigation, and even with a widened mid-span was unnavigable for large ships. This blockage to large ships meant that the building of bigger ships could only be carried on down stream in and around the Poplar area, and this was where the Dyers lived. So London Bridge inadvertently gave Peter Dyer his trade as a shipwright, as with many aspects of London, the River Thames and its history would decide the trade and future of the lives of its working class inhabitants, including the Dyers. Shipwrights in Poplar, made their living in the 1700s at Blackwall, North of the big bend in the Thames, and just upstream on the Thames from the River Lea, making a convenient place for large vessels to moor, with a road to take goods from the shore direct to the City of London, cutting out the navigation of the massive bend in the river around the Isle of Dogs. it was from here that Captain John Smith and his Virginia Settlers set out to found what would become the first permanent English Settlement in America, perhaps the Dyers as Watermen and shipwrights played their part in transporting the settlers to Blackwall, or making their ships seaworthy. It was also here that the convenience of Blackwall was hit upon by the ever efficient East India Company, they sponsored the dockyards that grew up in Blackwall between the late 16th century and on into the 1700s just at the time when the records show the Dyers plying their trade there as the painting from the 1780s shows below. Peter Dyer and his son Edward would work as shipwrights in Poplar, a good living, but not a great one, but they would have seen a massive increase in trade with ships pilling into Blackwall from all over the world, numbers growing steadily as the British Empire grew, a result of wars with the Spanish, and French. By 1789 when Edward Dyer when the next Edward Dyer is born (Danny Dyer’s Great Great Great Great Grandfather) to Edward and wife Mary, the third generation of Dyers in Poplar, the Empire is burgeoning, and in the year of Edward’s birth, the Blackwall Docks are extended and renamed as the Brunswick Docks. But with the development of docks and the wealth flowing into the City of London, opportunities were opening up to less skilled trades, like Watermen and Lightermen, who could make easy pickings from River traffic in both people and goods. 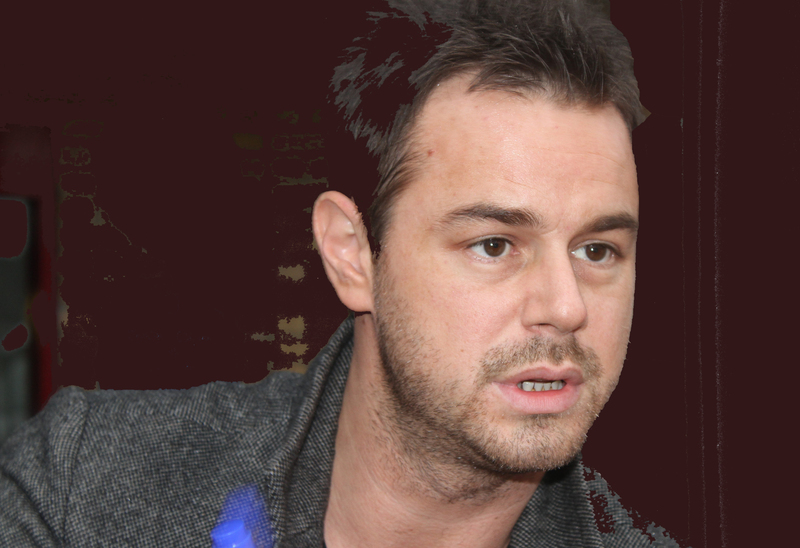 In Part 2 of Danny Dyer’s Family Tree we will see how his ancestors took advantage of this.